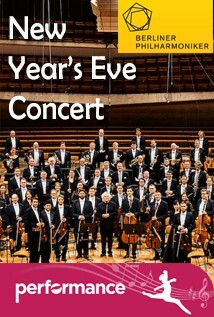 Celebrate the end of 2018 with the Berliner Philharmoniker’s glittering New Year’s Eve Concert. The only live cinema broadcast of the 2018/19 Berliner Philharmoniker Concert season, this fantastic event will be conducted by Daniel Barenboim, and Broadcast LIVE from Berlin in high definition and 5.1 surround sound. Barenboim, one of the Philharmoniker’s oldest friends, also takes on the role of soloist in Mozart’s Piano No. 26 – a work of sparkling beauty and nuanced expression. There are also four famous by Maurice Ravel, which create an impressive synthesis of elegance and originality. The highlight is the Boléro, perhaps the most stunning crescendo in music. This broadcast will feature exclusive interviews and programme insights.